1GR8VACATION: A Day in Kilgore, Texas! A Day in Kilgore, Texas! If you are looking to explore beautiful East Texas; Kilgore is worth checking out. 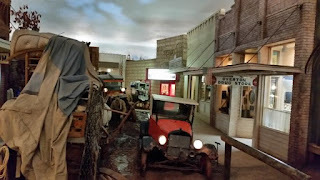 We recently spent a day in Kilgore and found an interesting museum & a tasty restaurant that are not to be missed. Kilgore is a small town with a population nearing 15,000. Kilgore has a rich history that tells a true Texas tale! In 1930 this rural town in Texas was hit hard by the depression that was gripping the United States. With the discovery of oil this once tiny town grew to thousands within weeks. As you visit Kilgore today you will find the stories of the early families resonate in the community years after this discovery. 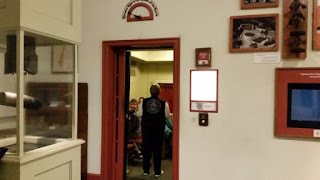 to learn about the exhibits. guided tour & found the docent to be quite knowledgeable & entertaining. Typically guided tours are by appointment only. 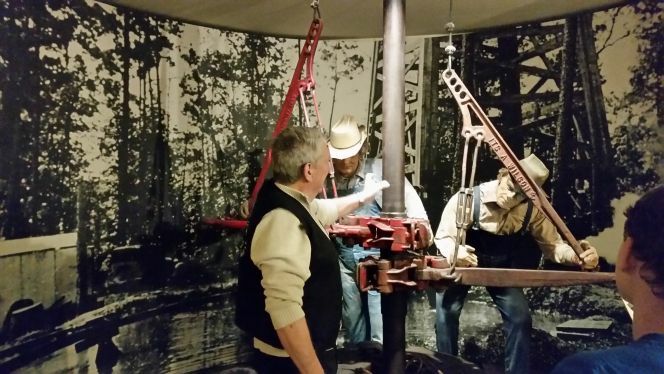 The East Texas Oil Museum has memorabilia from years gone by in the front portion of the museum. In the back portion of the museum you will find a replica of Kilgore, Texas circa 1930. 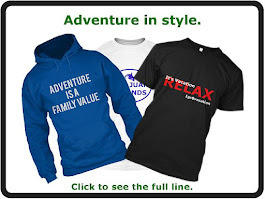 In this portion you can go into buildings & get a real feel for life during this time. Make sure you do not miss the "elevator" ride to the center of the Earth & the movie theater. Our tour lasted about an hour and a half but you could easily spend a couple of hours exploring this museum. The museum is open Tuesday - Saturday from 9 AM - 5 PM. Entrance fees are $7 per person. Find out more information on the website for the East Texas Oil Museum. After our museum visit, we found a local favorite restaurant to have lunch, the Back Porch Restaurant. 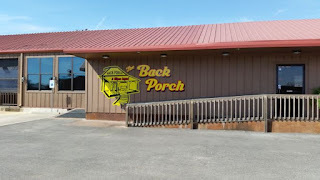 The Back Porch is located within a couple of blocks from the East Texas Oil Museum. It has been a popular Kilgore restaurant for over 20 years. 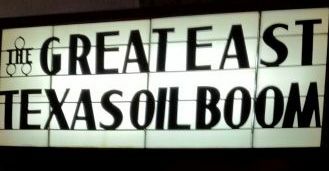 They serve down-home good food that will keep you coming back for more. The day of our visit we opted for burgers & curly fries that were fantastic. If you are looking for more than a sandwich, plate dinners are also available that range from catfish to pork to chicken to beef. All meals come with self-serve all you can eat beans & cornbread that make you think your mama is in the kitchen cooking. 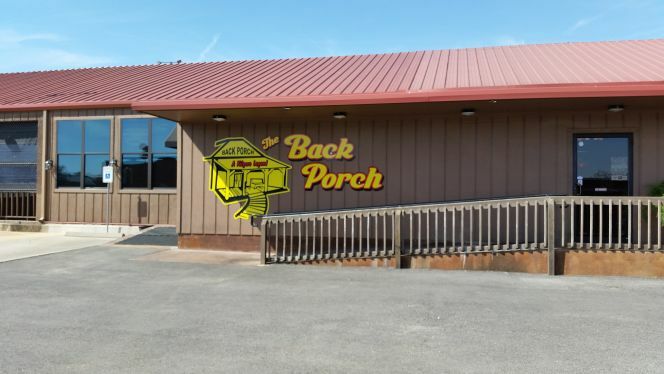 If you like live music, the Back Porch Stage features nightly music 3 times per week from a variety of genres. To view the menu & learn more about the Back Porch visit the website. Located in the heart of Kilgore! Our bellies were full & we headed back to the road to explore new areas of Texas. As we drove away from this quaint Texas town, I could not help but think how the lives of so many were changed from a single discovery! May God bless you wherever the road may take you!